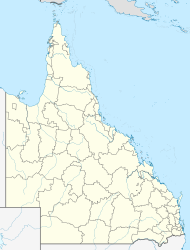 Diamond Valley is a locality in the Sunshine Coast Region, Queensland, Australia. ^ Australian Bureau of Statistics (27 June 2017). "Diamond Valley (State Suburb)". 2016 Census QuickStats. Retrieved 10 October 2017. ^ "Diamond Valley - locality (entry 49685)". Queensland Place Names. Queensland Government. Retrieved 10 October 2017. This page was last edited on 28 October 2017, at 17:25 (UTC).